Often when we think of getting our daily nutrition, we think about breakfast, lunch, and dinner. We go and grab our food at these times of day and ingest it, that's it. We rarely have to deal with the a situation where the environment is poor and nutrients are scarce. But for Bacillus cereus, it's a very different story. What does Bacillus cereus feed on? How does it feed? Look through this page to find out!! 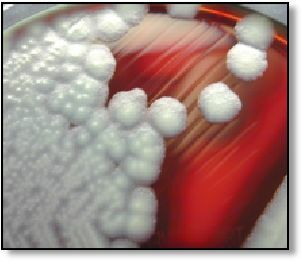 Trophic Level- Bacillus cereus is a heterotrophic feeder. Heterotrophic in Latin translates to hetero= "another" trophic="nutrition". This means that to be heterotrophic, you feed on other organisms to acquire you nutrition. Also, Bacillus cereus can be classified as a parasitic organism, because it utilizes hosts such as humans and insects. Whom they feed on-As pointed out in the habitat section, Bacillus cereus can be found living in the sediment, a food which it contaminated, or another heterotrophic organism that ingested the food contaminated with Bacillus cereus. It is able to survive in all these habitats partially due to its ability to metabolize a range of compounds such as proteins, amino acids, carbohydrates, and peptides from the surrounding environment. Iron acquisition- Iron is a very important nutrient for the growth and proliferation in most bacteria species. It is often very scarce for bacteria, unlike us, they are unable to receive their iron from a diet, they must obtain it through the environment, which has very low concentrations of iron. 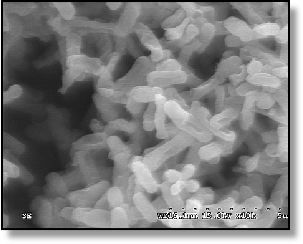 Bacillus cereus has been known to acquire iron by secreting two siderphores, which are small, high-affinity compounds released by microorganisms that are strong iron binding agents, bacillibactin and petrobactin. In areas of high iron concentration, Bacillus cereus utilizes hemoglobin and ferritin to acquire iron. The effect of endospores on nutrition- When the environment is unfavorable, such as poor temperature or lack of nutrients, Bacillus cereus will undergo a process known as endosporulation. After the eight hour process of endosporulation is complete, and endospore has been formed. In this non-vegetative state, the DNA of the organism is stored and protected from the outside environment. So how does this effect the nutrient requirements of the organism? While in the formation of an endospore can survive without any nutrients. To read more on endospores, go to adaptations. Distribution of nutrients in Bacillus cereus- Unlike humans and many other members of the animal kingdom, Bacillus cereus and all other bacteria do not possess a circulatory system. In larger organisms, they rely on a circulatory system to transport nutrients to all their cells in the body. Due to their small size, bacteria do not have a circulatory system and can simply rely on the process of diffusion, the movement of particles from areas of high concentration to lower concentrations, to distribute the nutrients. How Bacillus cereus metabolizes aerobically- In the presence of oxygen, Bacillus cereus undergoes metabolism in a way that is similar to us! Metabolism, more specifically catabolism, is the process where an organism breaks down organic material for the production of energy. In the case of Bacillus cereus, the organic material first goes through glycolysis. In glycolysis, this organic material, usually in the form of glucose, is broken down into pyruvate. During this process ATP (adenosine triphosphate) is produced, which is energy for cells. Check out a rap on glycolysis here! 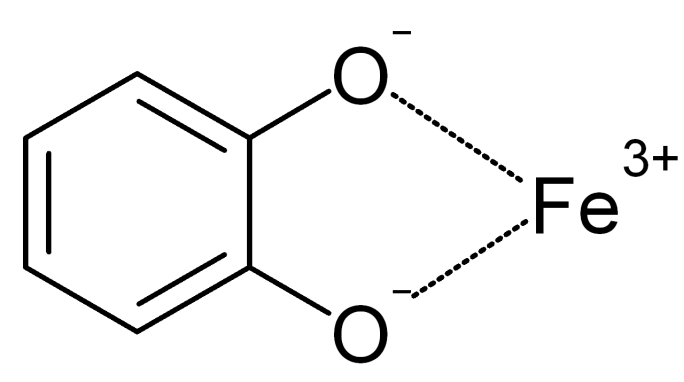 The pyruvate produced then go through a process known as the Kreb's cycle. Here a series or redox reactions occurs, which results in the production of more ATP. For a further explanation of the Kreb's cycle, click here. So they are efficient in gathering nutrients and surviving, but how on earth do these things keep reproducing? Click here to find out!